Hoffenheim director of football speaks out about NUFC’s “bid” for Joelinton – Surely not.. – NUFC blog – Newcastle United blog – NUFC Fixtures, News and Forum. Just a few days after a German ‘exclusive’ claimed we made a £43m bid for Brazilian striker Joelinton, Hoffenheim director of football Alexander Rosen has suggested that they DID receive an offer – and that they rejected it. I think most Newcastle fans find this whole link utterly bizarre – the idea that Mike Ashley would sanction a £40m+ signing is hard to fathom, let alone on someone who clearly has potential but hasn’t got consistent goal scoring pedigree yet. Such a high initial fee would also mean this deal isn’t aligned to the NUFC policy of buying players with a higher re-sale value – he would have to become a top, top layer to be sold for a profit on a £40-50m outlay. 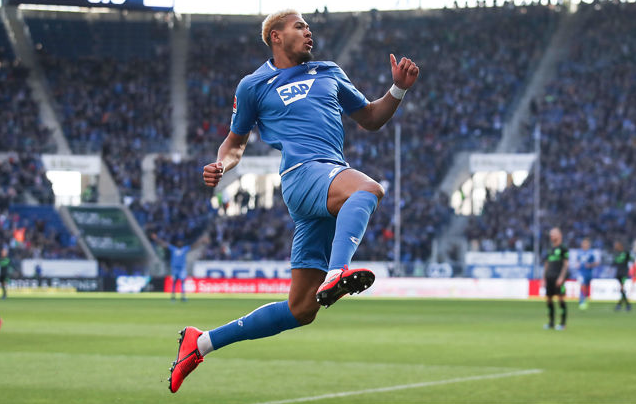 A more likely agenda is that Hoffenheim are playing a clever game of leaking supposed figures to drive up the fee for Joelinton, if there is so many clubs interested in him. The mistake would be to use Newcastle in this – as most football fans outside the UK even, know by now Newcastle just don’t spend this type of money on a player. I am sure Rafa would be delighted if this link were true, but Newcastle fans won’t be holding their breath on this one. Reports in Germany are saying we have bid..